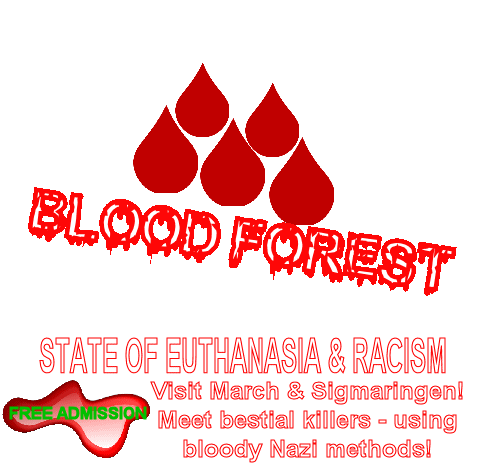 Listen World – Euthanasia in Germany – they slaughter humans again! Mr. Schillinger is a victim of political persecution and when he die, he is the first official German victim of social euthanasia after Nazi era. 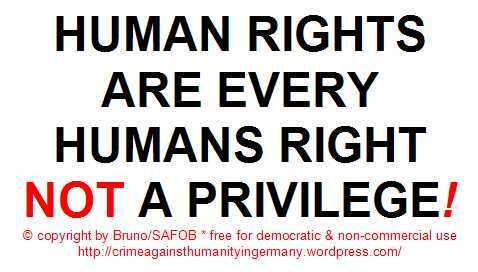 Since August 15, 2014 Bruno has no diabetic kidney drugs – denied by Prime Minister Kretschmann. 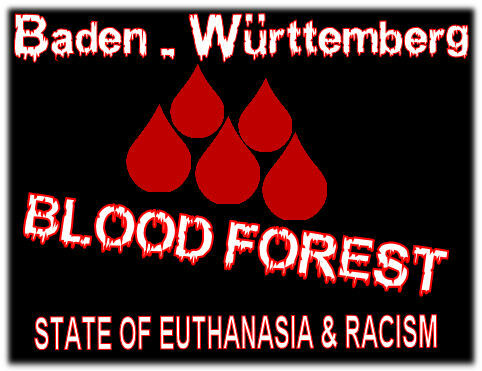 GREEN, other GREEN member, all MP’s of BLOOD Forest and his bureauKrauts.They kill, slaughter human, to cover up their crimes against human rights. THE GREEN muncipal will banish him from village. Racists! Killer! German church, archbishops Marx (CEO of bishops conference), Zollitsch (former CEO), Burger, bishop Uhl, Caritas president prelate Neher, all 27 German bishoprics, all Christian parishes (more than 2.000 in Germany), AND Vatican AND Pope Francis support this crimes against human rights, every humanity and own faith AND shelter the killer. Besides, German bishops have to made an oath TO stat and government, BEFORE the may become bishop! An oath to REICH and FUEHRER, YES this oath is based on Reich Concordat made with Nazi mass murder Adolf Hitler! Does anyone need an further explanation, why Pope Francis, Vatican, church and Caritas support euthanasia? A simple phone call had stopped their friend, employer*, prime minister Kretschmann – not even a phone call for a human! *Yes, Kretschmann pay the bishops in Blood Forest state! On base of this Reich Concordat, the German church collects billions of EURO, every year! 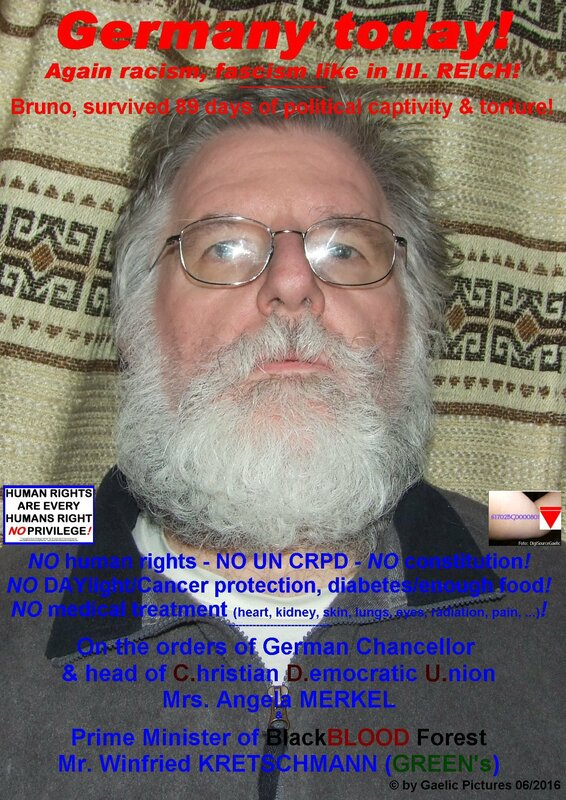 Besides Kretschmann is member not even brother in faith, He is member of Diocesan Council + Central Committee of Catholics + Donum Vitae + church choir and member of Amnesty International and marksman king AND Bruno’s MURDER! 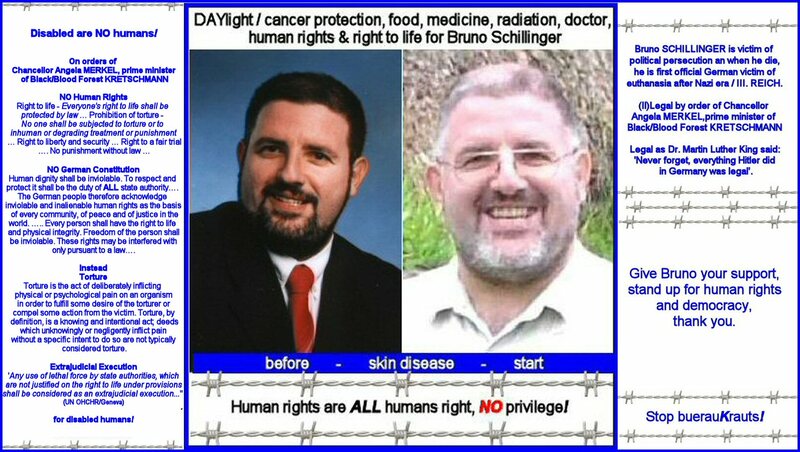 Bruno Schillinger, incarcerated in Germany in a dark, small room due his skin disease (NO daylight allowed). 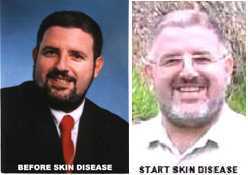 Government refuse daylight/cancer protection, all rights incl. ‚access to justice‘ and Human Rights. Feb. 2013 doctor gave information ‚your ship has sailed in 5 years‘ due kidney damage (caused by public authority). Bruno phoned for aid, support – NO answer, NO aid, NO support! Government is waiting until he died and close file. This is a small view – further details on websites below – ATT all is on web since years AND including names and this without any protest of criminals against humanity. Who can give helping hand as volunteer to manage all in Scotland. Who has information, e.g. 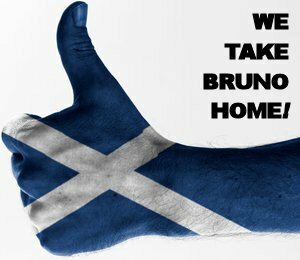 relocate Bruno to Scotland or found charity or lawyer,….. all is helpful. 3. FOUND A CHARITY – WHY? The health damage und death of Bruno is caused by German authorities, government – so we seek a lawyer which can claim in name of charity after Bruno’s death. The money has to be used for Scotland. 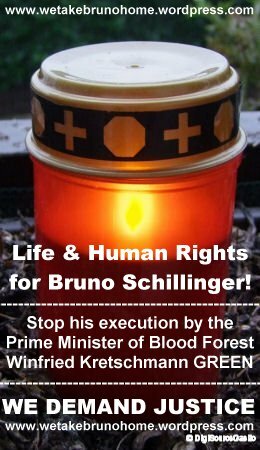 Bruno had some ideas (plant trees‘ eagle, support other, details anytime – first keep Bruno alive as long as possible, stop execution of Bruno by Black/Bloody Forest Government. 4. When will Bruno come home? ASAP – first clarify all in Germany as good as possible. Bruno said that there seems a possibility that Germany has to pay if he stay abroad (incl. health costs) – but government refused any counselling, any support.